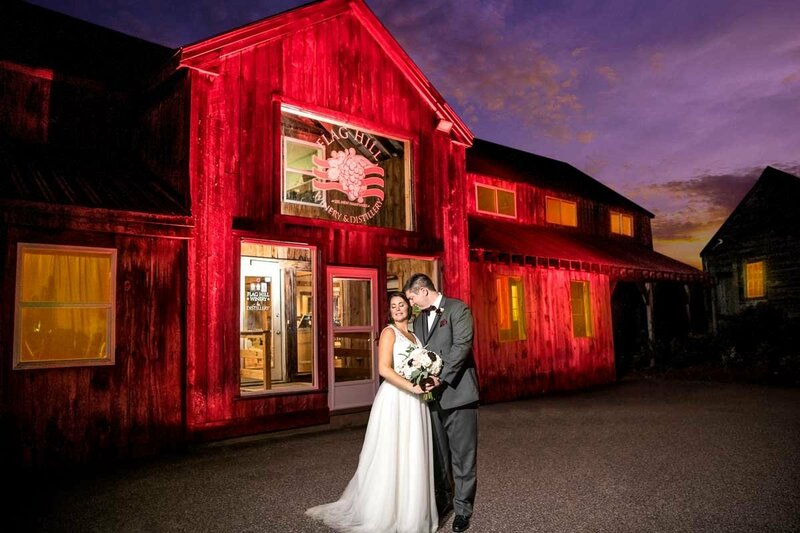 Selecting a wedding photographer can be the most daunting tasks for newlyweds. Let’s face it, wedding photography is something you only buy once in your life. How can you decide and balance out all of the factors like cost, style and value? It’s a tough job. So, let’s start here! 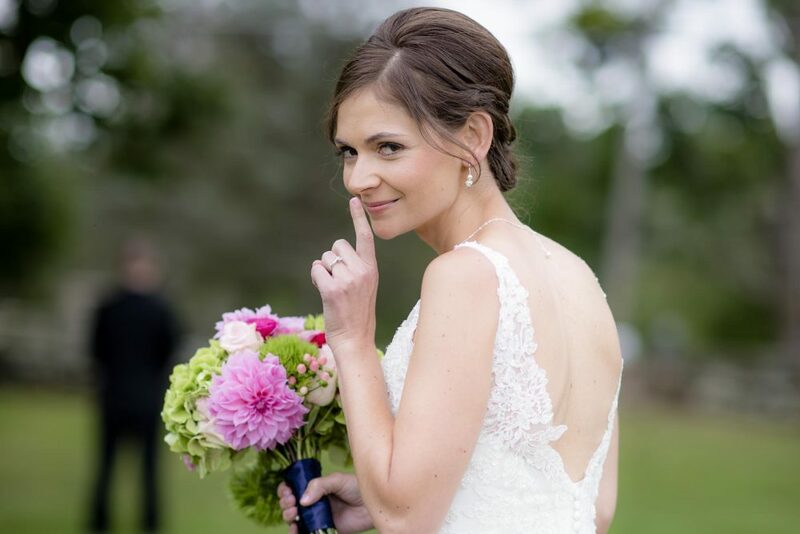 When it comes to Wedding Day makeup, it is always important to test out different beauty looks, techniques, and, of course, find the right makeup artist! 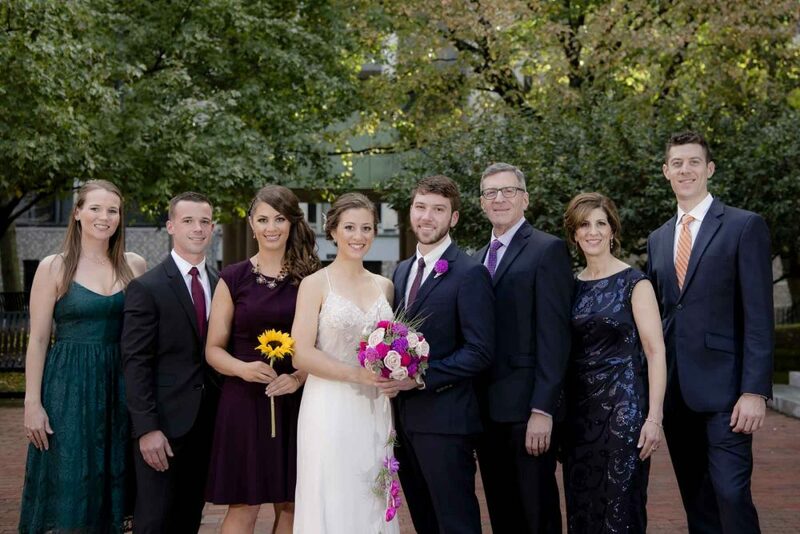 One of the most asked questions we receive as wedding photographers is how to organize family portraits and capture great photos. The family portrait session should be completed in 30 to 45 minutes. Any longer and your guests become frustrated and that’s not ideal for your wedding day! So, here are some helpful tips that will help organize and take some of the stress out of your family portraits. It is no secret that Lana and I are big fans of modern day albums. Pulling out that wedding album at family get-togethers makes it all worth it. Last week, we had family over for Thanksgiving and broke open the old family albums ourselves! What a great way to spend an evening sipping on a warm beverage and thumbing through old albums and telling stories. 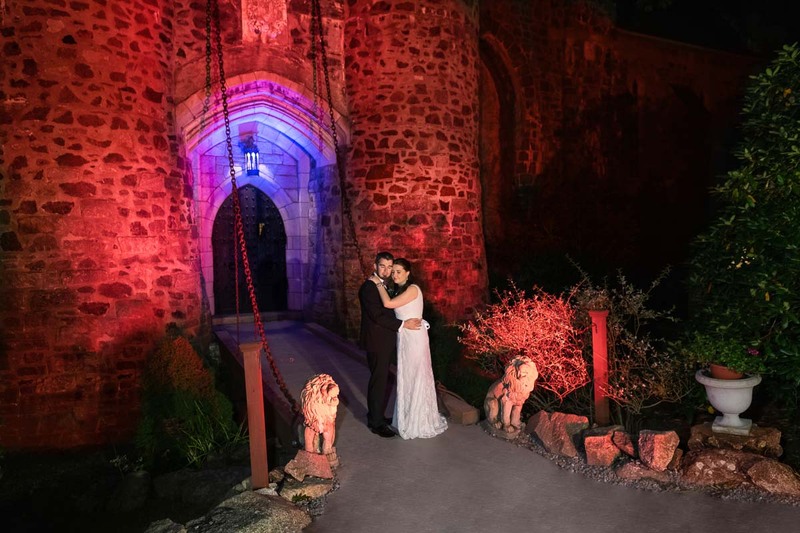 Can’t decide on a videographer for your wedding? 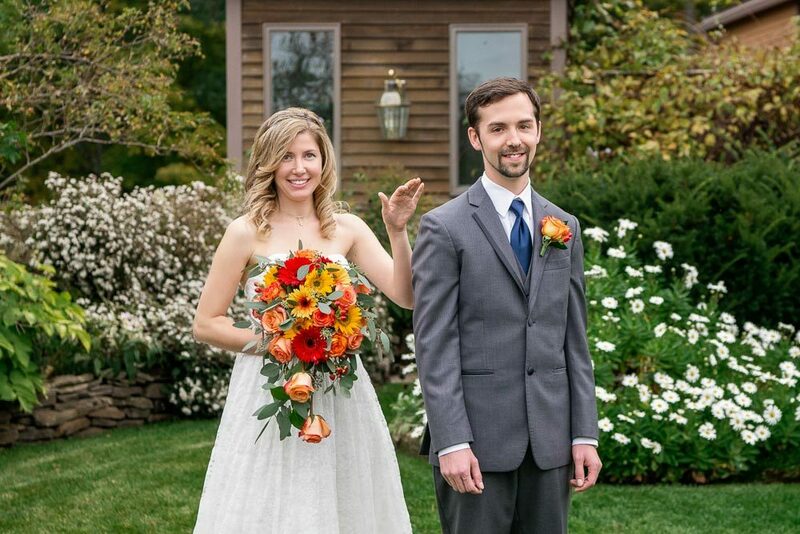 Wedding videography isn’t for every bride and groom. Whether the cost is prohibitive, or you just don’t want the invasiveness all day long, making the decision can be difficult. Videography is very specialized and finding the right company can be challenging. Your end product can range from raw footage to a well edited product that really captures your day. On average, about 10% of our weddings have a professional videographer. With most brides and grooms leaning away from a professional service, what options do you have? A few weeks ago I photographed this setup at Manie and Alicia’s wedding. Anybody can order this setup from Amazon for cheap money. A simple tripod, add a ball mount and phone mount and you’re ready to roll! 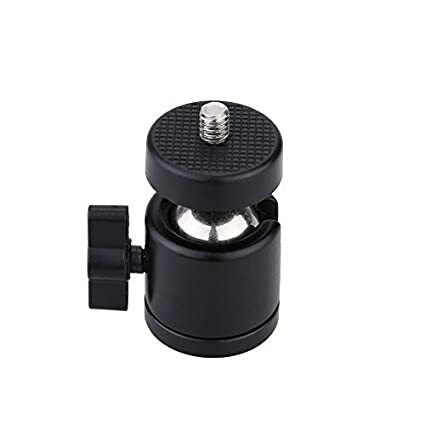 $5 Ball Mount makes adjustments a snap! Spice Up the Party from New England Weddings on Vimeo. Do a few practice runs and go through the process of downloading the video too. Always practice, don’t experiment with your wedding day video! Depending on your phone, check that autofocus is behaving correctly. 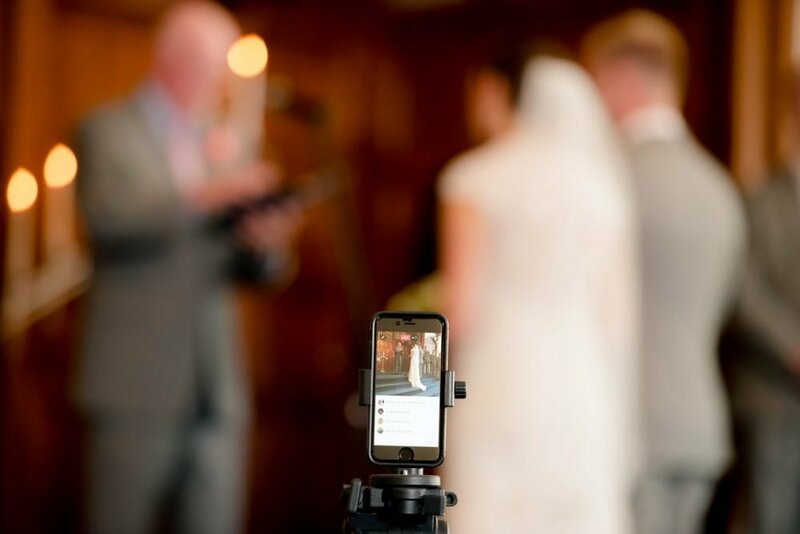 Your phone may guess how to focus, have a trusted family member there to make sure it looks okay and the bride and groom are focused! If you decide to give it a try, reach out if you have any questions. Just don’t tell the videographer we recommended this idea! I remember as a child flipping the pages of my parents wedding album. It was fascinating to see them so young, standing there with all my family members who also looked oddly different! To this day, I remember all of the pages in that album. My favorite photo was of my dad “dipping” my mom and giving her a kiss. My parents were not rich people, but every married couple had a wedding album. Every time I saw my parents kiss, it reminded me of that photo! Some would argue that photography was different back then. Photographers sold wedding packages. Couples would buy an album, order prints for the friends and family, while the negatives would sit in a cardboard box somewhere in the photographer’s basement until they were no longer useful. Today, clients want the digital files. Who wouldn’t?!? Digital files are great to have and last forever. Why get an expensive album when you have all the digital files? I would argue that couples today get less value compared to my parents. Here’s how the story goes… Couples get the digital images and print a few, maybe 5 or 10, and hang them on the walls. Time passes, and you re-decorate and a few frames come down. Photos of your children replace your wedding portraits. You move to a new house and the photos disappear into storage. That USB stick with your beloved wedding photos becomes that cardboard box. 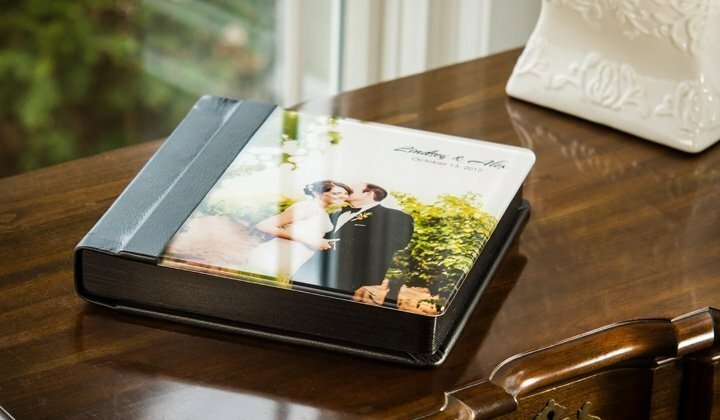 A Wedding Album becomes a family heirloom for your children and generations to come. Couples spend so much money on a marriage. If you’re reading this, you probably agree! 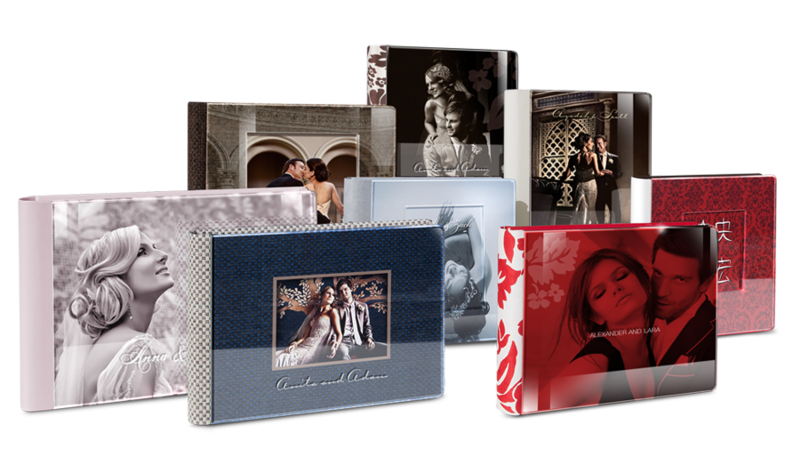 A wedding album is a durable good, it is the only investment that lasts through the years. In fact, it becomes more valuable as time passes. It’s also the #1 biggest regret when its overlooked. Wedding albums are very expensive; because they are worth every penny! 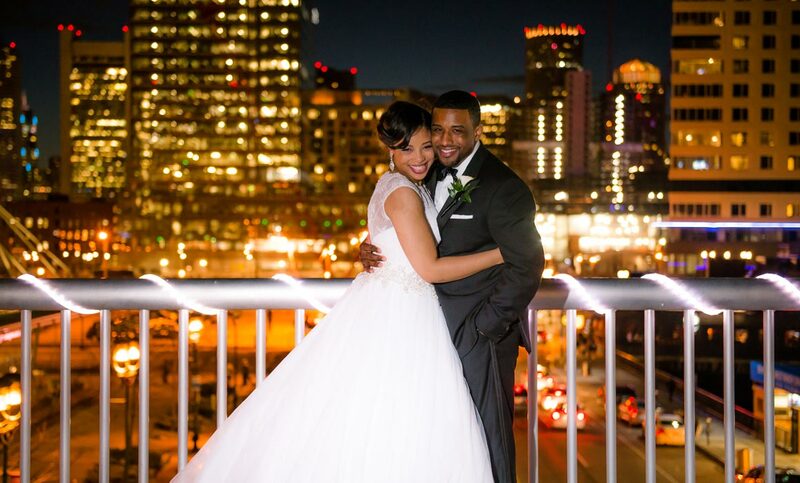 Wedding Albums are a Storybook of Your Day! Some brides choice the DIY path, but don’t understand the challenges. Handmade albums, created by designers & photographers, on heavy archival paper that lasts a hundred years, is not something that’s easily assembled without experience. When planning your wedding, do yourself a favor and consider skipping that Ice Sculpture or the Rolls Royce for an Album. Photographs are meant to be experienced. A wedding album captures that experience, your story, for generations to come.